For humane and animal use. benefits: uplifting, refreshing, cheering, use Poor circulation, varicose veins, diabetes, kidneys, arthritis, rheumatism, asthma, catarrh, cold, flu, greasy skin, insect bites, stimulate appetite. Believed to enhance the body’s nature ability to fight infection. 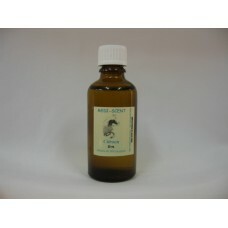 Essential oil of Lemon is used to enhance the condition of horses and to disinfect stables, kennels etc. essentiallemon oil is cold-pressed, a much better oil than distilled. The yield of Lemon is abt. 0.4%-0.7%, which means more then 100 kilo of peels is needed to make 1 litre oil. The scent is evocative of the fresh ripe peel, Light, fresh, citrus, sherbet-ty, tangy. Lemon oil in the bath or in massage oils should be well diluted as it can cause skin irritation. Caution: avoid using the oil in body care products when going out into the sun as it can cause redness and burning of the skin. 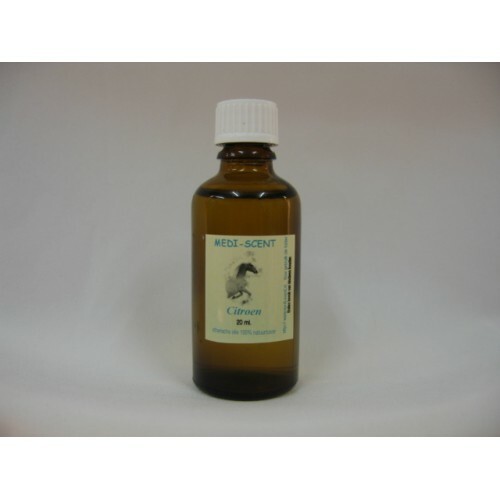 To enhance the condition of a horse or dog it is mostly mixed with Tea Tree oil. Mix 1 tablespoon honey with 4 drops Lemon oil, add to warm water and mix in twice daily with feed. To disinfect stable or kennel use 10 drops Lemon oil in 500ml. water. Spray this on walls, floors and skirting-boards. Also suitable for domestic use, but be careful, Lemon oil can make stains on wood or fabric. Scentblock, aromastone or stream: a few drops to your own preference. This gives a lovely fresh and light scent. Great when you have a respiratory infection, it kills airborn bacteria, a good help with flu or cold. Skin: max. 8% with grownups - for local use. Bath: max. 10 drops (full bath) mixed with Neutral shampoo or Emulsifier 80. Apply for colds and nasal discharge. As a disinfectant for the stable in combination with tea - tree oil. Mix tree oil with 5 liters of lukewarm water - 15 drops of lemon - oil and 15 drops of tea.